NEW YORK (TRP) – From Lewinsky-gate to Anthony Weiner’s Epic Twitter fail, we’ve certainly have had our fair share of political scandals over the past few years. And now, just when you thought America couldn’t out-do itself … introducing: David Petraeus Sexcapade 2012, which some say truly takes the cake when it comes down to a convoluted plot even more confusing that LOST. 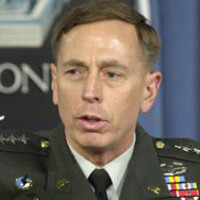 Over the course of a year, the pair – who are both married – develop a relationship that raises eyebrows among Petraeus’ staff. When Petraeus takes over as head of the U.S. Central Command at MacDill Air Force in Tampa, he meets Jill Kelley, a socialite who locals dub Tampa’s Kim Kardashian. At some point, Kelly begins to receive threatening emails, accusing her of getting “too close” with Petraeus… Basically: A ‘I have my eye on you, so knock it off’ warning. The socialite tells her FBI agent buddy – ID’d as Frederick Humphries – about the emails because she feels threatened. 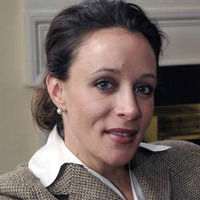 1 – “Cyber stalker” Paula Broadwell is behind the harassment. 2 – 10,000 pages of email exchanges described as “sexual” and “inappropriate” between the whistle blower and General John Allen, a top commander in Afghanistan, arise out of nowhere. 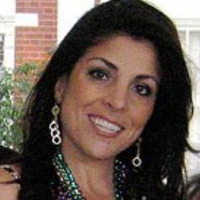 3 – That FBI agent, Frederick Humphries, well investigators find a shirtless photo he sent Jill Kelley during their communication. He also gets blackballed after becoming “obsessed” with the case. And now EVERYONE is under investigation. Who needs daytime soaps when there is CNN. You’re welcome. America.